Pound Ridge Equipment Rental, Inc. 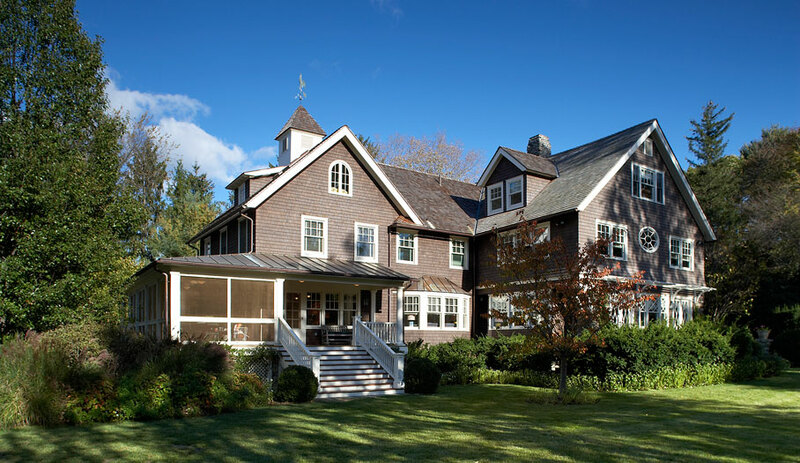 The owners purchased this turn-of-the-century shingled home in Scarsdale seven years before they hired Brenner Builders to enhance its good bones and add 1,000 square feet of new space. Because the family remained in the house during the renovation, there were challenges of protecting their living space from accessory damage. The project included not only the replacement of existing elements with upgraded materials, but also the transformation of older areas and the addition of new space. The exterior of the house was completely updated with new siding, a wood shake roof with copper flashing, and custom trim. 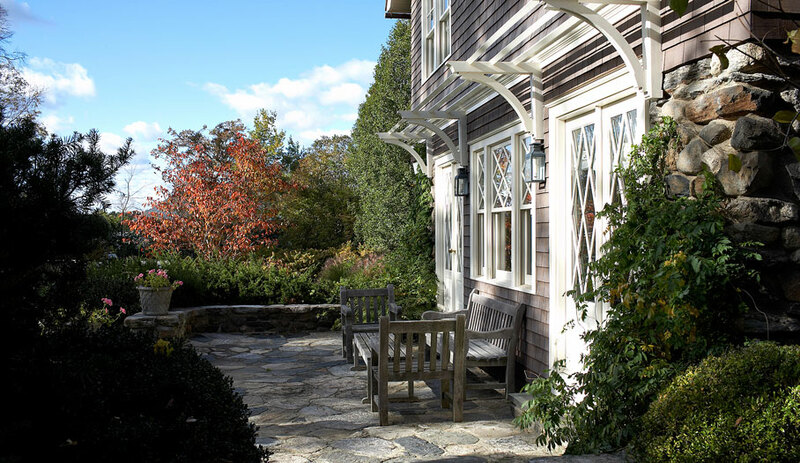 Old porches, one of which was newly enclosed with screening, were rebuilt with mahogany floors and custom Azek trim and panels. A new front entry was built, and custom garage doors and an outdoor shower were installed. 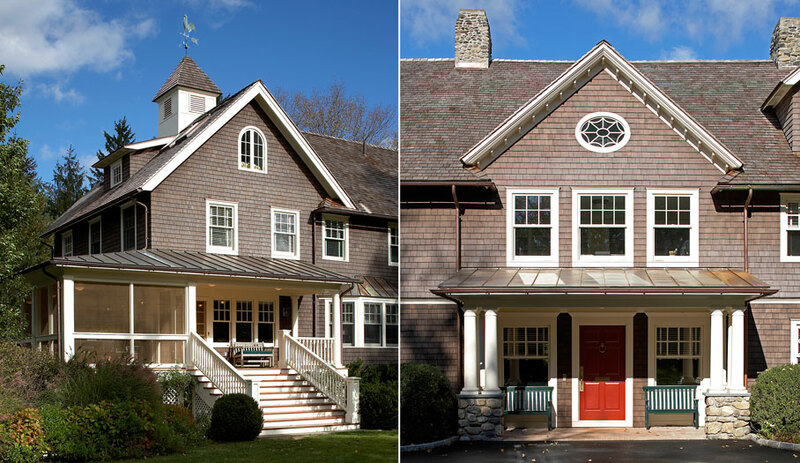 The exterior of the house was completely updated with new siding, a wood shake roof with copper flashing, and custom trim. 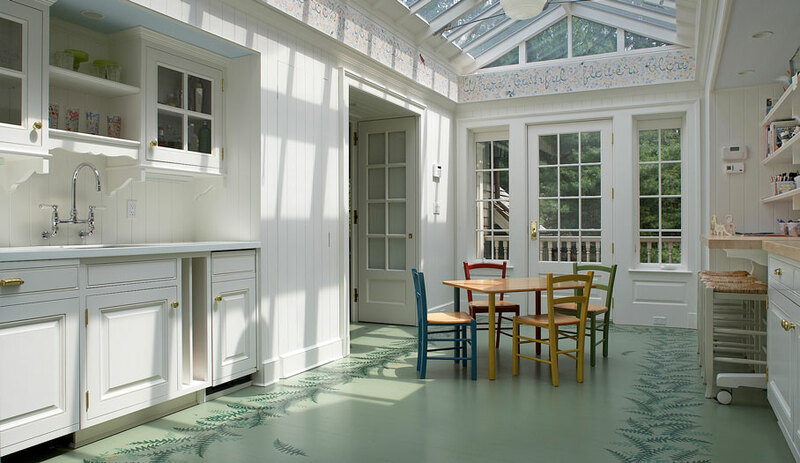 A creative redesign of the first floor resulted in the construction of an 18’ x 14’ conservatory, featuring a Parish glass roof, hand painted floors, custom storage and refreshment areas, and full height windows that lead to a new balcony. Rickson hinge doors were installed on one wall to access the new 19’ x 22’ playroom, where the hand painted floors continue. 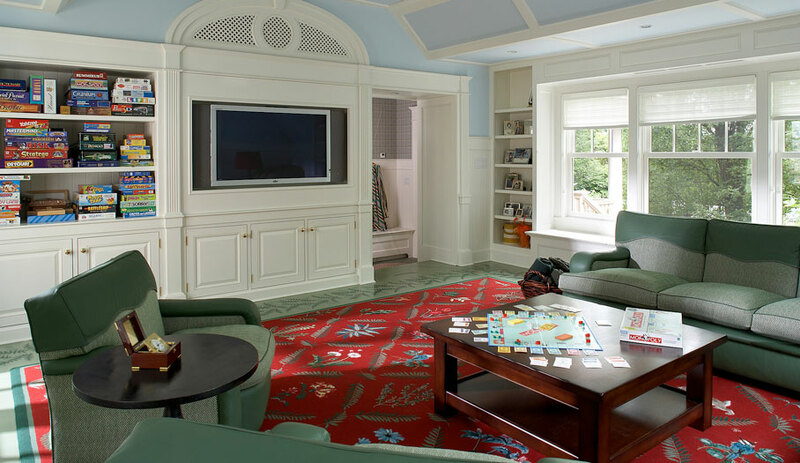 A tray ceiling, built-in window seats, extensive millwork, a built-in entertainment center, and panels designed to camouflage hidden closets combine to create an impressive recreation space for the family. A vestibule and bath were tucked in between the new and old spaces, to serve both the playroom and the nearby existing swimming pool. In the basement, steel beams were installed in the garage ceiling to support the new space above. Existing subterranean space was utilized to refurbish a wine cellar and to create a beautiful new mudroom boasting custom storage, and wainscoting. Forbo tackboard was installed on the walls for displaying the owners’ children’s artwork. Additional updates and improvements were made throughout the interior of the house, including new millwork, closet interiors, and a redesigned second floor sitting room, now outfitted with new windows and family study areas. 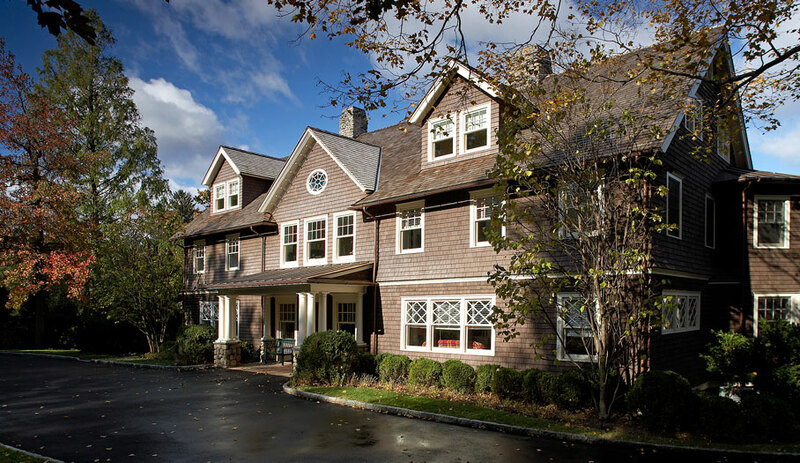 While the residence was already a lovely, vibrantly decorated home, the new addition and renovations have enhanced its ability to serve the family and to age gracefully.